Everything the savvy host needs to know for successful spring entertaining! Discover simple decorating ideas, easy entertaining tips and some delicious spring recipes. Savvy Spring Entertaining gives hosts the information they need to shake off the heavy mantle of winter and prepare for a fun season of spring entertaining! 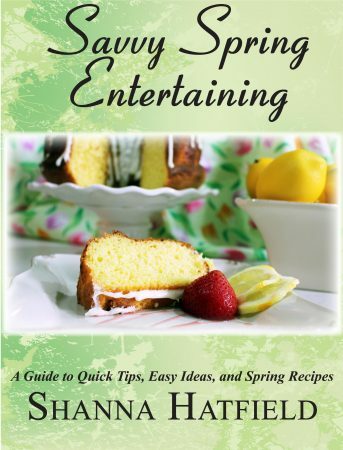 Download Spring Entertaining for Free!